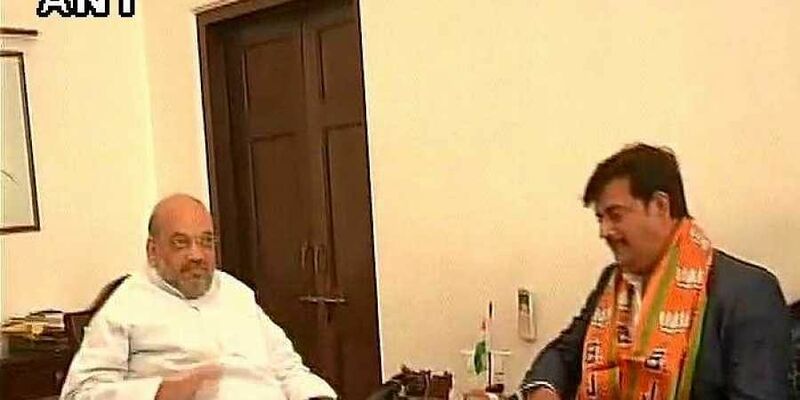 LUCKNOW: Ending a prolonged wait and putting all the speculations to rest, the Bharatiya Janata Party (BJP) chose Bhojpuri film actor Ravi Kishan to fight the prestigious battle of Gorakhpur – the Yogi fort—in the ensuing polls. The actor-turned-politician has crossed over to the BJP from Congress during 2017 UP Assembly elections. Yogi Aditynath has been five-time (since 1998) MP from Gorakhpur and he vacated the seat after taking over as UP CM in 2017. Gorakhpur by-poll in March 2018 served a blow to the ruling BJP when joint opposition candidate Praveen Nishad wrested the seat from its clutches with a margin of 45,000 votes in March 2018. Just a year later, the opposition camp failed to keep its flock intact and Praveen Nishad of NISHAD (Nirbal Indian Shoshit Hamara Aam Dal) snapped off ties with SP-BSP-RLD alliance and joined the NDA recently in Delhi. The party rewarded Praveen Nishad by fielding him from Sant Kabir Nagar replacing sitting party MP Sharad Tripathi who had hit the headlines for thrashing one of his party MLAs with a shoe at a district level meeting. The party made him pay for his indiscipline with his seat. As per the highly-placed sources, Yogi Adityanath blocked Sharad Tripathi's ticket as a punitive action. However, the party has given a ticket to his father and BJP ex-state chief Ramapati Ram Tripathi from Deoria. In 2014, veteran BJP lead Kalraj Mishra had won from Deoria beating his nearest rival Abu Salem of BSP by a margin of over 2.65 lakh. This time Kalraj Mishra had decided against contesting polls. The party has given a ticket to Mukut Bihari Verma, a serving minister in Yogi cabinet, from Ambedkarnagar. Party has changed Harivansh Singh, the sitting Apna Dal MP from Pratapgarh. He has been replaced by Apna Dal MLA Sangam Lal Gupta. In Jaunpur, party has reposed faith in sitting MP KP Singh, Bhadohi MP Virendra Singh Mast has been sent to Ballia. In Bhadohi, the party has given ticket to Ramesh Bind. BJP has now announced candidates on all 79 seats except Ghosi. The party had been trying to convince Suheldev Bharatiya Samaj Party (SBSP) chief OP Rajbhar to contest from here but he refused. In fact, Rajbhar had been pitching for contesting the election on his party symbol whereas the BJP wanted him to contest on Lotus. As per the highly placed sources, Rajbhar has made up his mind to go it alone in this election by fielding party candidates on 25 seats across the state. He is even believed to be planning gto leave Yogi cabinet by offering his resignation.